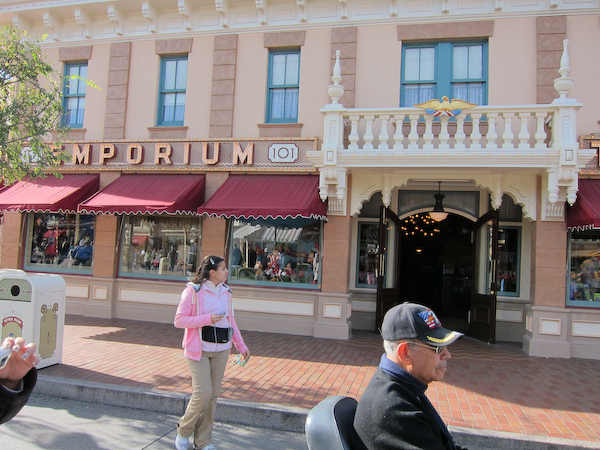 The Emporium is the largest store in Disneyland and is strategically located at the entrance of Main Street from Town Square. I say strategic because it’s the first big store when you walk into the park and the last big store walking out of the park. It’s also on a corner. 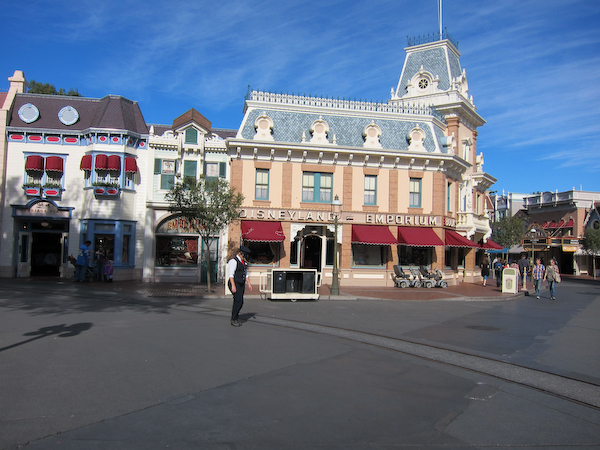 I mean basically if you don’t see the Emporium it’s because you’re blind. And actually, I’m pretty sure blind people run into it as well. Incidentally, the Emporium was the scene of my Awkward Social Situation. If you want to see what the Emporium looks like with a big green wall around it, check out this post. 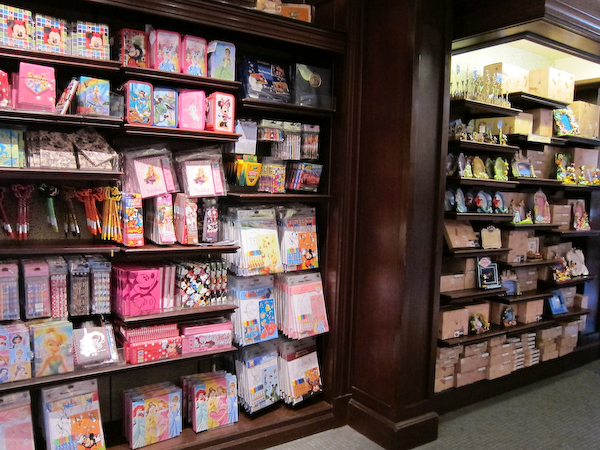 The Emporium is sort of the Wal-Mart of Disneyland–you can find just about everything there. Disneyland really shoots for comfort. Also I didn’t include hats because they’re probably going to be their own post. Actually you could probably do an entire blog on Disneyland hats, but that would be even more boring than this post and nobody wants that. If you want to go around collecting character autographs, here’s a good place to buy yourself a book. OMG, I just realized that’s something I’ve never done–now I’m going to have to buy an autograph book and stalk the characters. 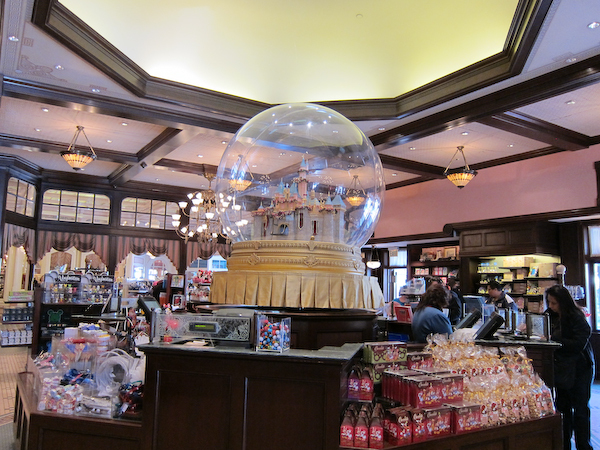 At the center of the store, the checkout counter has a jumbo-sized snow globe, sans snow. Yes, I got into a massively Awkward Social Situation just so I could tell you that shot glasses were known as toothpick holders. I told you it was anticlimactic. 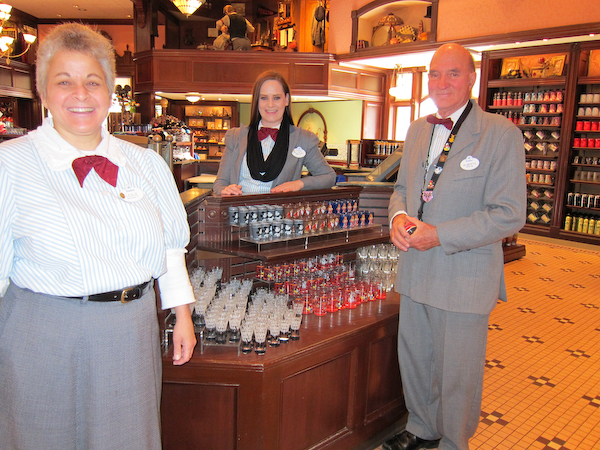 The Emporium also opens facing Main Street. The last thing you need to know about the Emporium is that it seems like it would be a great place to pick up that gift on the way out of the store. That way you won’t have to carry it with you all day and risk getting it stolen, right? So you think you’ll just swing by on your way out. Well, everybody else in the park has the same idea. So if you’re going to shop the Emporium, don’t wait until park closing to do it. And if you want to just do some casual browsing, REALLY don’t wait until park closing to do it.